The MCE British Superbike Championship heads to Silverstone this weekend for the penultimate round of a captivating 2009 season with the possibility of Airways Yamaha rider Leon Camier wrapping up the title. Camier currently enjoys a substantial lead (99.5 points) over team mate James Ellison, who sits second in the race for the title, and with only 75 points up for grabs after Silverstone, Camier is likely to be crowned 2009 Champion at the famous Northamptonshire circuit. Should Camier win the Championship at Silverstone it will be a double celebration for the circuit which, after securing a five year deal with Dorna, is gearing up for the return of MotoGP in 2010. Silverstone is investing more than £5 million on improvements to the venue, including changes to the track, spectator and viewing facilities. A new section of track will make it one of the longest, fastest and most challenging bike circuits in the world. Several legends of MotoGP racing will be heading to Silverstone’s round of British Superbikes on Sunday to meet fans, sign autographs and offer their thoughts on the return of motorcycle racing’s premier international series to The Home of British Motor Racing. The legends will also look back at the riders and machines of their time, plus some of the epic battles that have been fought around the super-fast circuit. 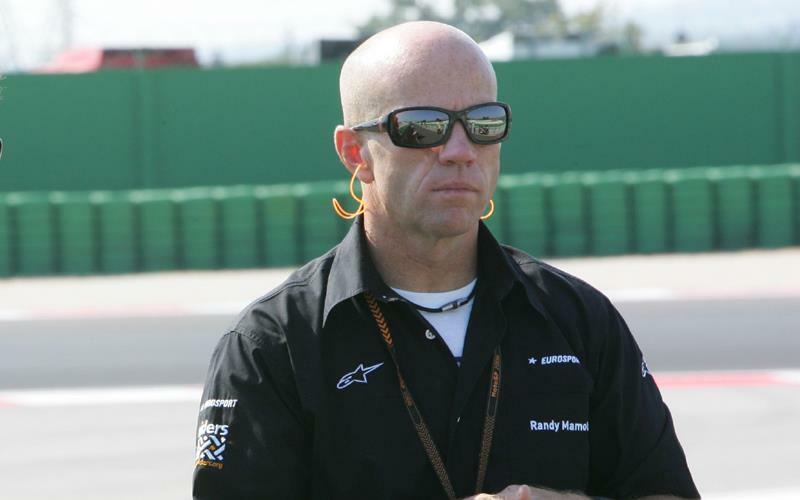 Randy Mamola, winner of the 1980 and 1984 Grands Prix at Silverstone, will be joining former British World Championship riders Steve Parrish, Jeremy McWilliams, Niall MacKenzie and Rob McElnea for two Q&A and autograph sessions with the BSB fans at Silverstone. In addition, some of Britain’s current 125cc MotoGP riders will be looking ahead to next year’s MotoGP round at Silverstone, including Oxfordshire-based Bradley Smith.